Fortune Health Care Ltd. manufactures Tadalista 2.5, a low powered erectile dysfunction treating medicine. This Ed treating mild powered solution is available in blister pack of 4 pills. 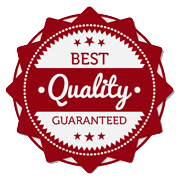 The medicine is known to simply work in minutes with effectiveness that shall last for hours together. Parent component Tadalafil 2.5 mg (Generic Cialis) in the medicine does its job by restricting phosphodiesterase type 5 of enzyme or PDE5. However, lower PDE5 enzyme, more of cGMP, enhances chances of getting and maintaining erection for longer time due to better flow of blood in the penile region. Conventional tablets form of medicine is meant for consumption orally. Take this Tadalafil 2.5 mg (Generic Cialis) pill only once in a day with plain water. Consumption of medicine in presence of complete sexual stimulation helps men to stay effective for approx. 12 to 18 hours. For maximum effective outcomes, consume pill as recommended. 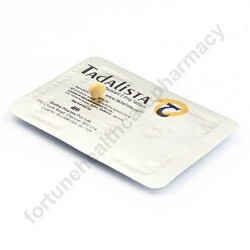 Tadalista 2.5 pill leads to some common and less serious side effects like headache, stuffy nose, sneezing, headache, sore throat, upset stomach and muscle pain. However, severe side effects with this medicine happen in rare cases like overdose.